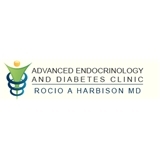 Advanced Endocrinology and Diabetes Clinic (Houston) - Book Appointment Online! Dr. Harbison is accepting new patients. Please call the office for any appointment scheduling. We specialize in the diagnosis and treatment of disorders of the endocrine system, diabetes, metabolic disorders and weight management. We are located just outside the Texas Medical Center off the Texas Women’s Hospital campus. She and her staff were very nice and accommodating.